Wait until price move below L3 line and move back above it – it is time to go long. Sometimes price bounce from level, then we need another signal to enter (from price action, moving average or oscillator). 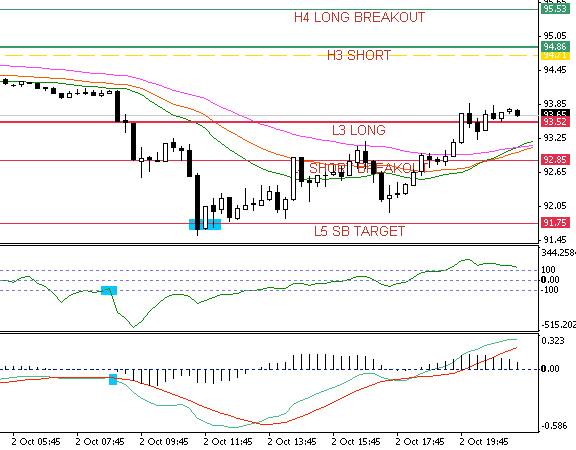 Close position at H3 line (or H4/H5 if trend is strong and you have a good trailing system). 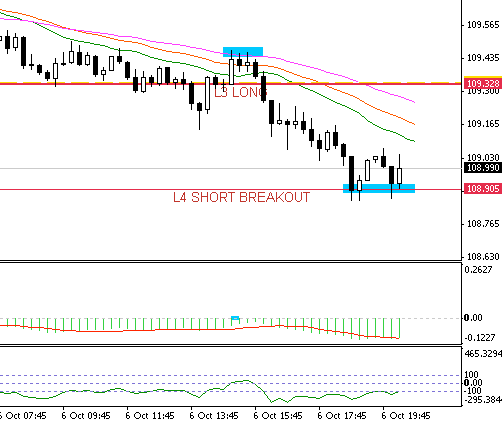 Stop loss below L4 line. Wait until price move above L3 line and move back below it – it is time to go short. Sometimes price bounce from level, then we need another signal to enter (from price action, moving average or oscillator). Close position at L3 line (or L4/L5 if trend i strong and you have a good trailing system). 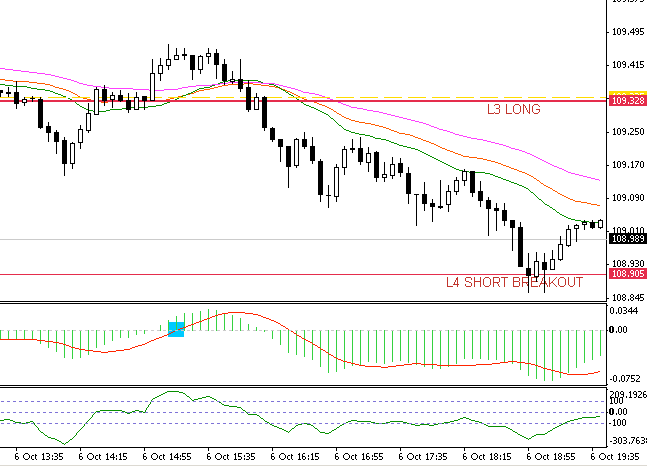 Stop loss below H4 line. When price moves above H4 line, we go long. When price crosses below H3 line, go short. 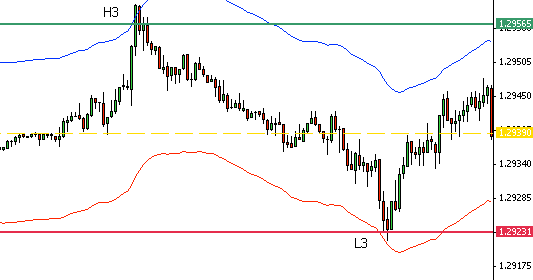 When price moves above L3 line, we go long. When price crosses below L4 line, go short. 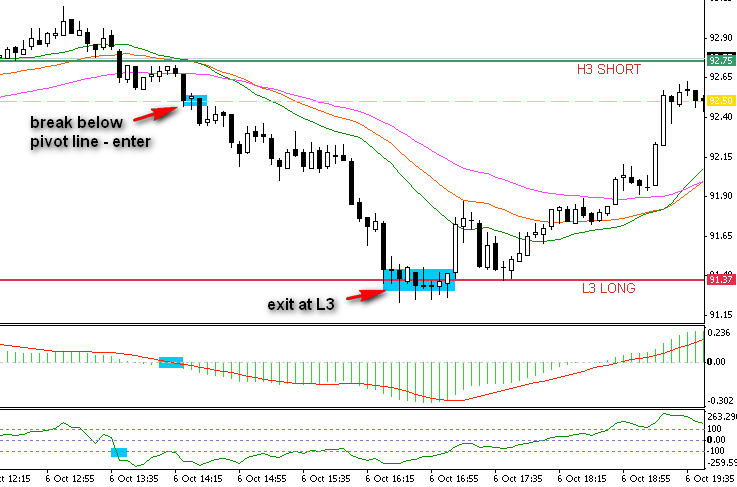 Scenario 4 – price open below L4 line or above H4 line. Wait until it comes back and play according to scenario 1, 2 or 3. So… how to use it? This is a great tool, but I can write a separate manual about trading with Camarilla. You do not have to follow rules which I have described above. Check examples below and see how it works. SPX is under pivot line (yellow). After range move, we can see that bears are up to something. We had sell signals from MACD and CCI, also moving averages were negative (so 21 below 33, and 33 below 55). 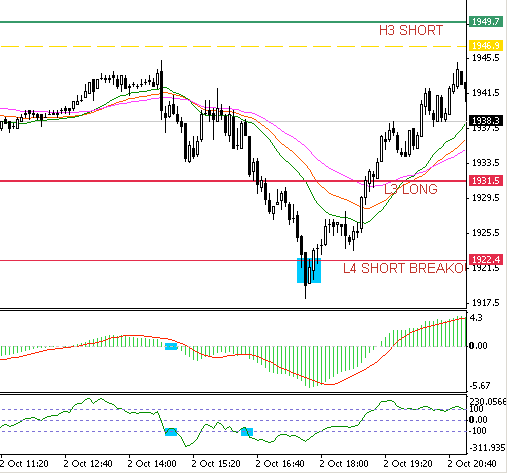 L3 long did not hold and SPX started to move down. It looked like L4 is not a target and we will have a continuation of move down. But no, things worked out different. It was a false breakout and bulls came back. You can see that they managed to move up to the 1945 points. I wanted to show this example for a reason – there are no 100% sure signals – sometimes it looks like it is all going well and you have signal but price reverse. That is why I use trailing stop loss. In that example after going short, let’s say 1933 points, you would lower your stop to place it after each next lower high. This kind of traps happens. Here all worked great. Actually, I opened this trade on 5 min chart, but this is clearer on the 15 minute chart. We are below pivot line (yellow), averages are negative. There are signals to go short from MACD and CCI (near L3 line). 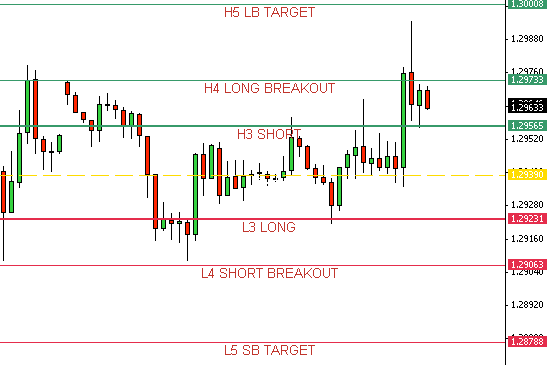 I shorted at L3, closed at L4, and shorted again when L4 failed and there was a break below L4. It is up to you how you manage your trade. Just wanted to show you that sometimes we have a strong move from L3 to L5 without or with a very short pause at L4 line. If trend is strong then L5 is a target. Right below H3 we have a dotted yellow line which is a pivot line. We got signal from MACD and CCI to go short, but it was good to wait for break below pivot line. On some occasions it may work as support and you will see a bounce from here. In this case we saw that pivot line is not a support and we had a short breakout – this was our entry point. 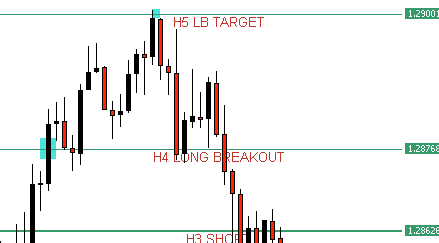 Take profit target was L3 line, which worked nicely. How do you calculate the levels? Thanks for the lesson. I appreciate the failed trades and explanations for those as well. WHICH PAIR THIS USE BETTRE? I recommend major pairs, because you need good trading conditions (low spread etc.). Hi Simon! Did you calclate how much pips are in profit per month/year with only camarilla on EUR/USD? No. On daily basis, I use traditional pivot points so I haven't done this sort of calculation.